Mexico's President, Enrique Peña Nieto, has stated that Mexico will not pay for a wall to be built. That's like your neighbor saying, "I'm about to install the most expensive fence I can find, around my home, and I want you to pay for it." You would tell your neighbor to go straight to hell, would you not? Trump appears to be making up answers on the fly as to how this medieval wall will be financed. He actually had the temerity to say that the money that Mexican immigrants are sending to their relatives at home, would be used to fund the wall. Really Donald? You can't be serious. We all know who would foot the bill - American taxpayers! The only way that would happen would be if the U.S. Government plans on stealing the money from the Immigrants and using the funds to finance this absurd project. Not to mention, if we sever our business/financial ties with Mexico (and building a wall will most certainly do that), Mexico will undoubtedly start doing business with China and America will lose major commerce and a close ally. Here are some excerpts from the NY Times article.. 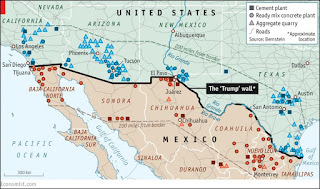 I'm hoping that the "Wall" fiasco (which it will become), coupled with the attempted repeal of the "Affordable Care Act" (ironically, about 40% of the people taking advantage of "Obama Care" voted for Trump), with nothing to take its place, Trump supporters will begin to see the light of day and realize they are supporting a despotic megalomaniac. Donald Trump has got to go! He has to be impeached in the next 6 months of less, otherwise he is going to run America into the ground and we will lose many of our allies in the process. It's time that we put aside Race, Religion, and Political Affiliation, come together as one (for those of you who voted for Trump, you're forgiven) and get this guy out of the oval office. The article writer is not making any threats - NOT AT ALL - just saying that for the future of this nation, you can't have a buffoon running the country. Let the impeachment process begin! 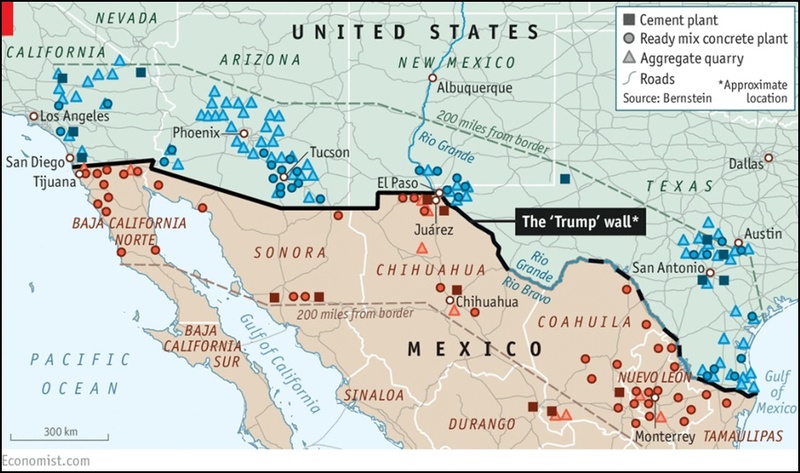 NY Times Article: Trump Seeks Path for Mexico Barrier. But Will It Be a ‘Big, Beautiful Wall’?